With 23,500 pre-bookings in under two weeks and over 4,00,000 enquiries the all-new Hyundai Santro has created quite a splash already. 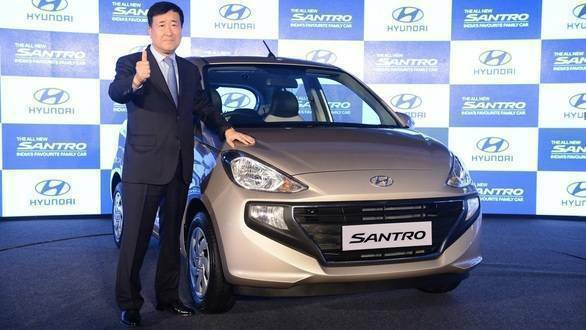 The new car was launched amidst much fanfare in the national capital and interestingly, Hyundai seems to have left no stone unturned this time as far as the powertrain options are concerned. It debuts AMT technology for Hyundai in India, offers the option of going in for a factory-fitted CNG kit and is available in five variants. 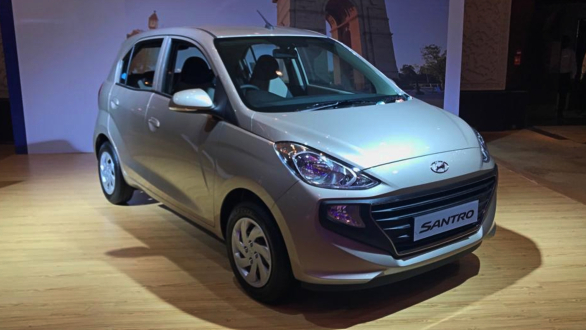 So if you're planning to buy a Santro this festive season, which one should you go in for? Allow us to help you decide through an explanation of all the variants. To begin with, below is the price list of the new Santro for your reference. Let's now take a look at what each variant offers. This is the base version and in the interest of keeping its price low, Hyundai has omitted air-conditioning from the Santro D-Lite. However, Hyundai has not skimped on the safety front and ABS and the driver-side airbag are standard across variants, including the D-Lite. There's just one engine powering the Santro currently, which is Hyundai's 1.1-litre, four-cylinder petrol engine that offers 69PS and 99Nm. The D-Lite is on offer only with a manual transmission which is a five-speed gearbox. The D-Lite runs on 13-inch steel rims shod with 155/80 R13 tyres. Interiors are the same across the range so you get dual-tone, beige-black interiors. The folding rear seat is also standard across the range, as are the remote opening for the fuel tank cap and boot. The instrument cluster is also standard across the range which means the D-Lite also comes equipped with a tachometer and also the 2.5-inch digital display as higher variants inside the instrument binnacle. Power steering is also standard which is good news if you plan on buying the D-Lite variant. That said, the D-Lite does not get power windows at all and all four windows are operated manually and you do not get a music system either. Front and rear bumpers on the Santro D-Lite are not body-coloured on the other hand and are black in colour. On the features front, the D-Lite further misses out on central locking, fog lamps, rear defogger and a day and night adjustable rear view mirror. The Era is the second variant in the line-up and gets an air-conditioning system to begin with. 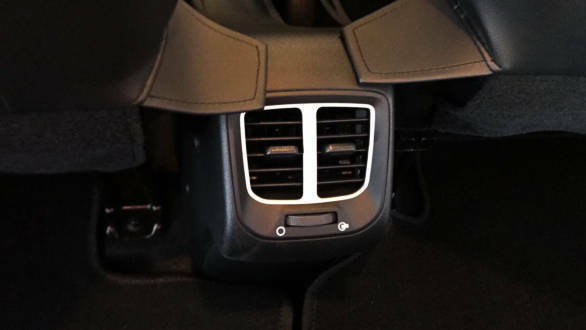 Additionally, it gets several other features over the D-Lite version, including front power windows, rear air-conditioning vents (obviously not needed in the D-Lite as it does not get air-conditioning!) and a 12V power socket. That said, the Era does not get an audio system either. It also gets body coloured bumpers, though outside rear view mirrors and door handles are still black in colour. The Magna variant is on offer with the option of a five-speed AMT as well in addition to the five-speed manual transmission. You could also opt for a factory-fitted CNG kit in case you plan on buying the Magna variant, though power and torque outputs drop to 59PS and 84Nm. In addition to what the Era offers, the Magna variant also gets body-coloured outside rear view mirrors and bumpers which make for a more premium feel. The front grille gets a chrome surround as well, to add to the feel. All four windows are powered units, thus adding to convenience. 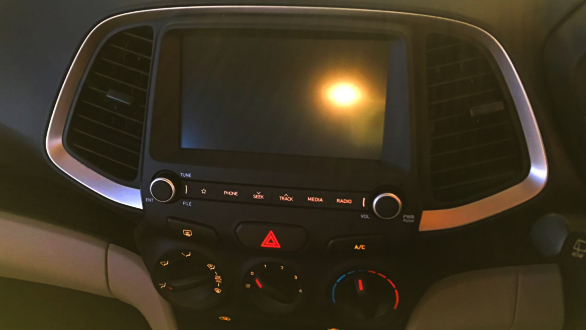 The manual version of the Magna does not get a music system like the lower variants though the AMT version does come equipped with a 2-DIN audio system integrating a radio, USB, AUX and Bluetooth connectivity. There are no rear speakers though and the Magna only gets two front speakers as standard. The AMT version also gets steering mounted controls for the audio system. The Magna offers central locking and a day/night inside rear view mirror as well, adding to convenience. While interiors are beige-black as standard, with the Magna variant (and higher variants) you have the option of going in for sportier-looking all-black interiors with green inserts, while champagne gold coloured inside door handles are standard. This Sportz variant offers a more premium feel as compared to the Magna variant thanks to additions like front fog lamps, rear defogger and keyless entry. You also get ORVM mounted turn indicators to the same effect. Like the Magna, it offers you the option of the AMT and a factory-fitted CNG kit as well. It also gets bigger, 14 inch wheels shod with fatter, 165/70 R14 tyres. 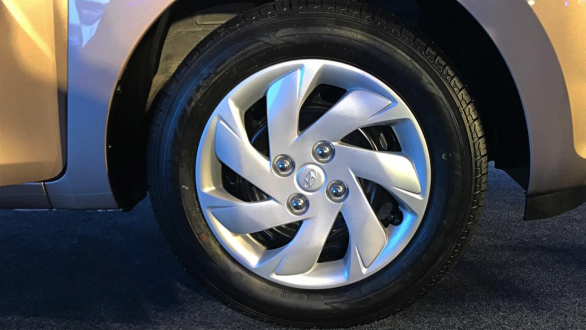 The spare wheel though is a 13 inch wheel, shod with the same tyre as the lower variants. The Sportz variant's premium feel though truly comes from its 6.9 inch touchscreen audio system that also offers Apple CarPlay, Android Auto and MirrorLink connectivity for smartphones. It also gets rear speakers as standard, making for a better acoustic experience. Its air-conditioning system gets Hyundai's Eco Coating Technology which ensures the cabin remains odour-free by ensuring odour-creating organisms are taken care of within the air-conditioning unit. On the convenience front, outside rear view mirrors are electrically adjustable and the boot gets a parcel tray over the features offered in the Magna variant. The Asta is the range topper so goes without saying, it comes equipped with all the bells and whistles on offer. It does not offer you the option of the AMT or the CNG kit though and can only be purchased in a petrol-manual combination. In addition to the Sportz variant's niceties, the Asta gets a reverse camera and rear parking sensors. On the safety front, it gets a front passenger airbag well, making it the safest Santro on offer. Additional convenience on the other hand comes from a rear wiper and washer. Surprisingly, even the Asta variant does not get alloy wheels as standard though and runs on the same 14-inch steel rims as the Sportz variant. 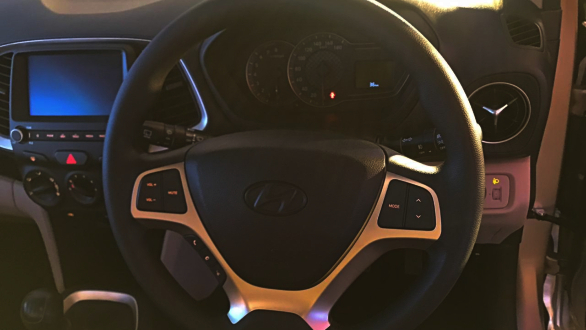 On the whole, Hyundai has specced the Santro well though, offering a host of interesting features, many of which are segment firsts, like rear AC vents as also Apple CarPlay and Android Auto connectivity. Hyundai is hoping the car will repeat the success of the original and help it make a comeback in the lower spectrum of the hatchback space. Its rivals in the Indian market include the Tata Tiago and Maruti Suzuki Celerio primarily. 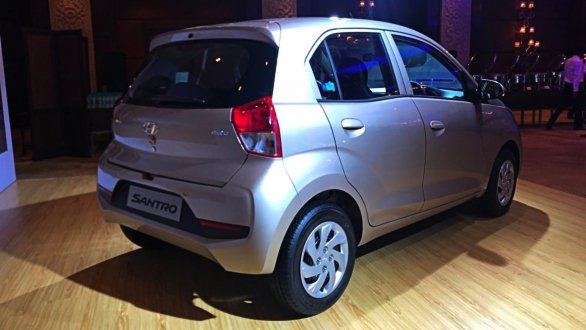 We hope this article helps you make the right choice if you are planning on buying a Santro!